In this business scenario you have a requirement that whenever a user opens an Account record or a user changes the category of a customer that you check the value of outstanding Invoices for that customer. 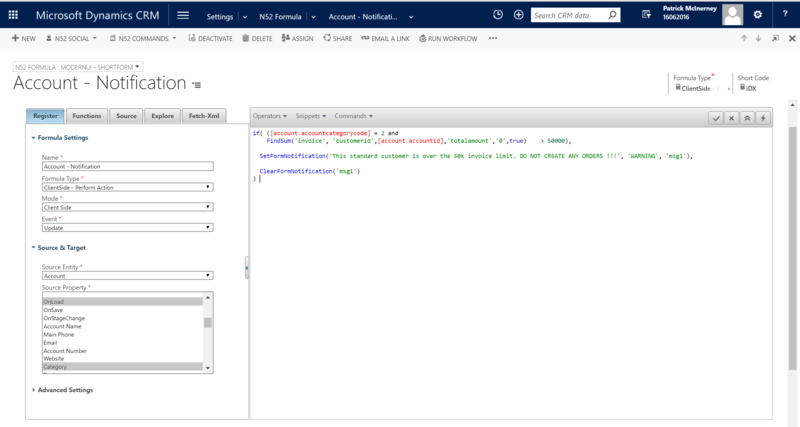 And if the value is more than 50k then display a form level notification to the user stating not to create any more Orders for this customer. This is a sensitive requirement for the customer & so the query to find the sum of outstanding Invoices needs to be run in real-time, which is the default for North52 formulas.. This formula will be executed for the OnLoad event of the form & for the OnChange event of the Category field. The formula itself will run a query against the Invoice entity to Sum all the oustanding Invoices for the current customer. 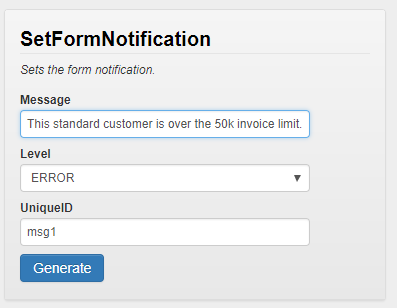 If the value exceeds 50k then a Form Level Notification will be shown to the end user. Next click N52 Commands on the command bar & choose the 'Publish Formula' menu option. 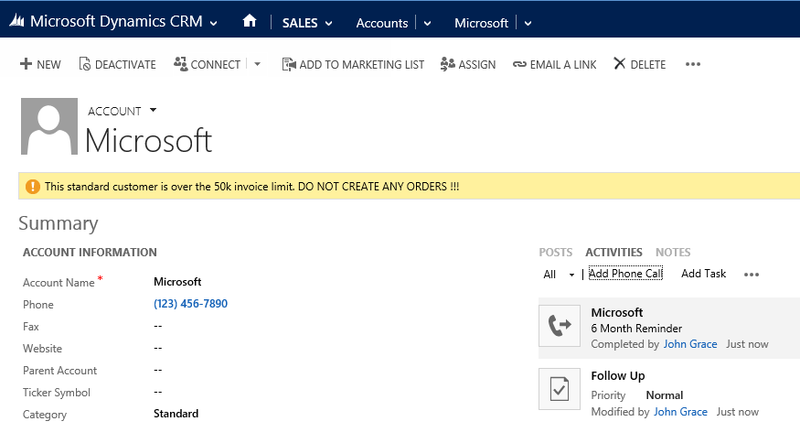 SetFormNotification(This standard customer is over the 50k invoice limit.